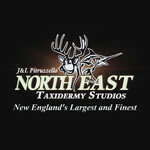 What's new at Northeast Taxidermy? 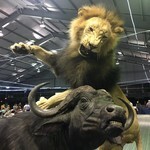 This is the progression start to finish of a life size cape buffalo being attacked by two lions. 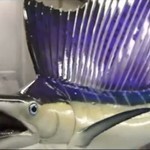 Click this link to watch a video, where you can see our sailfish mounts. Click this link to watch a video, where you can tour our modern facility and meet our professional staff. 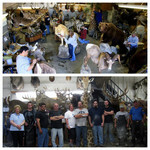 Here's an up to date, behind the scenes glimpse of Northeast Taxidermy Studios. 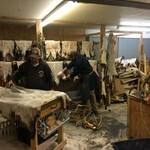 View Joe at Northeast Taxidermy Studios skinning, mounting, and finishing of the new Rhode Island state record 75-pound Striped Bass skin mount. It's official! 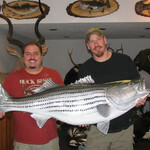 New IGFA World Record Striped Bass. Joe Pitruzzello and the team at Northeast Taxidermy Studios have been selected to mount the new World Record Striped Bass! 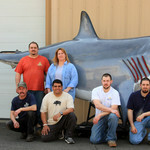 Northeast Taxidermy Studios performs a total reconstruction on a 3500 Great White Shark mount. 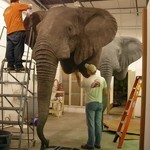 Creating a Pedestal Mount Elephant with Full Habitat from Start to Finish. 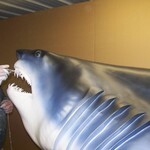 Making of a Monster: World Record size Mako Shark Mount, Mako Shark Replica Start to Finish on Mako Shark Taxidermy.